As the annual Rifflandia music festival in Victoria gets underway, organizers are launching a new music-industry conference to attract musicians in town for the weekend. The Rifflandia Gathering will offer panel discussions, mentoring sessions and networking opportunities covering everything from recording to booking tours to getting your music on the radio, according to director Deb Beaton-Smith. Beaton-Smith said the panels are geared toward a broad audience and is expecting festival-goers, industry members and local musicians to attend. The program for Rifflandia Gathering focuses on giving bands the tools to handle everything from getting funding to recording and touring on their own. "The DIY aspect of it, that's a reality. The artists have to do a lot, they have to really wear a lot of hats," she said. "Providing something like this provides an opportunity, a mechanism I guess… that allows people to share information and that's really important, to have that support within this industry." 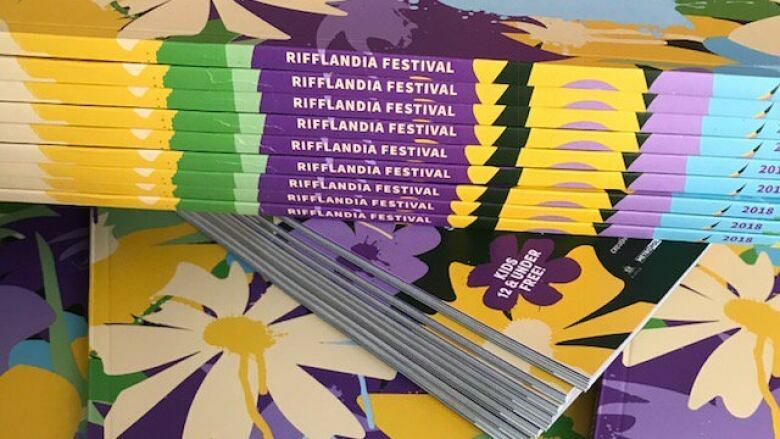 Tickets to the <a href="https://twitter.com/Rifflandia?ref_src=twsrc%5Etfw">@Rifflandia</a> gathering can be purchased at the door at Ticket Rocket on Broughton across from the Royal on Thur and Fri between 9:30 and 4. In previous years, Beaton-Smith said the festival hosted smaller, more informal panel discussions during the festival. Their event last year, which partnered with Music B.C., brought in international industry professionals from the United States, Germany and the U.K.
"This year we decided to step up, give it a name... and make it three days long," she toldOn The Island host Gregor Craigie. The Rifflandia Gathering music-industry conference started Thursday and runs until Saturday at various venues in downtown Victoria.